Picking up where Trail Time for Toddlers leaves off, Swamp School continues nature-based education for children ages 6-10. 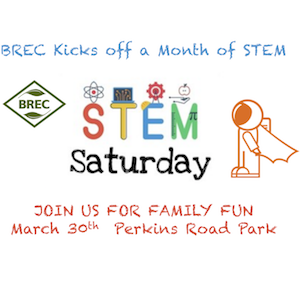 With more of a focus on science content, we will explore the outdoors, do arts and crafts, meet interesting animals and have healthy snacks. This is a perfect opportunity for homeschool parents to supplement their science education curricula in a natural setting. The program is held twice a month and themes change each class. Registration for each month begins on the first of the month prior. Registration is required (max. 15 children). Register in person at Bluebonnet Swamp Nature Center or online at webtrac.brec.org.